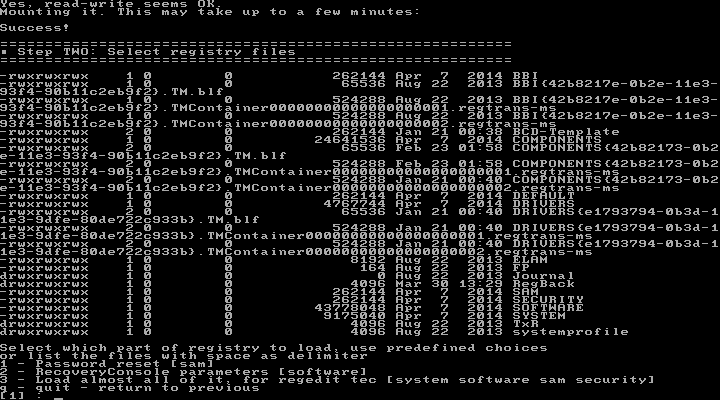 I tried to reset the password of Windows 7 Using chntpw command in Ubuntu. 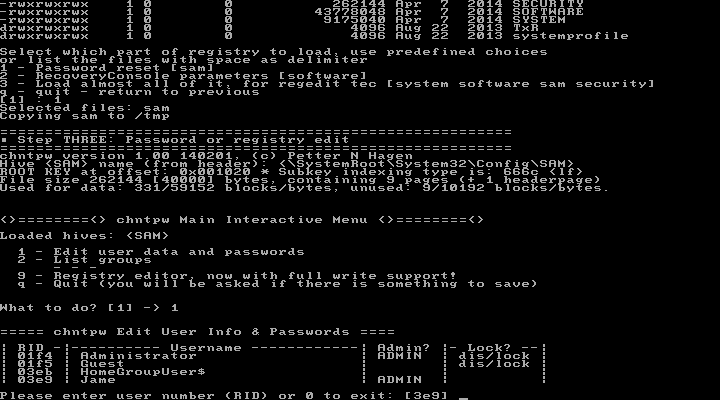 The program appears to work exactly as expected, and doesn’t display any errors, and acts like it’s done everything properly when blanking or changing a password. 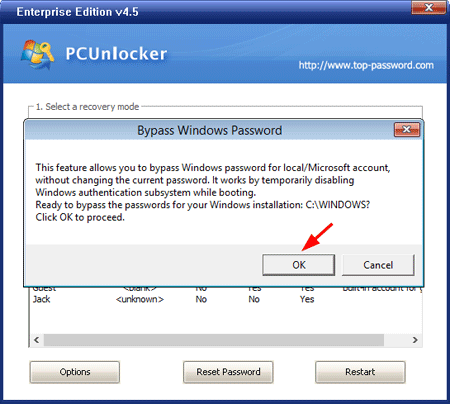 However, when Windows is loaded, no change has been made – the password has not been blanked or changed. Failed to blank or change password. 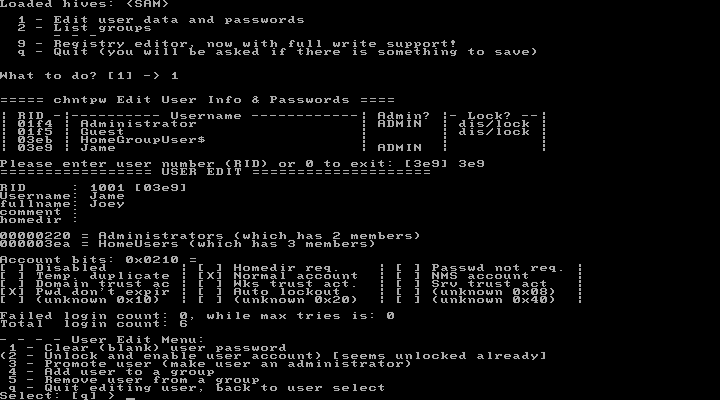 Chntpw said successfully clear the password. But when you try to login from Windows it does not seem to be changed. 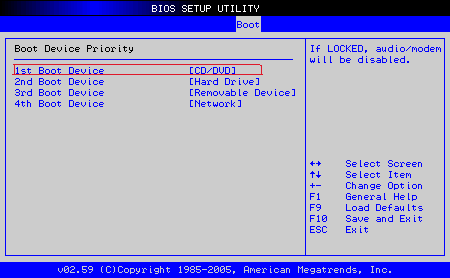 Chntpw: Unable to open/read a hive, exiting..
Chntpw hangs in a loop, or fail to boot even if your computer is configured with UEFI and Secure Boot. 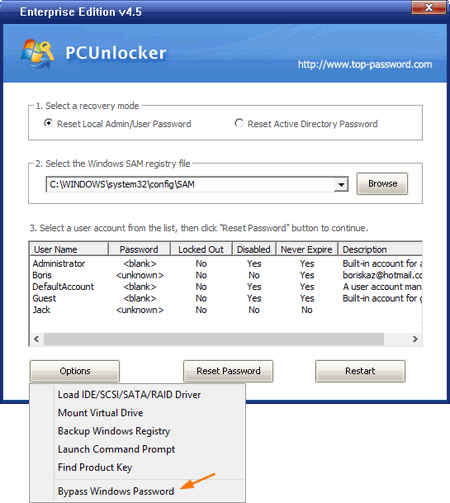 In my previous post I’ve covered how to enable automatic login in Windows 8/7/Vista/XP, by using the command netplwiz or control userpasswords2. 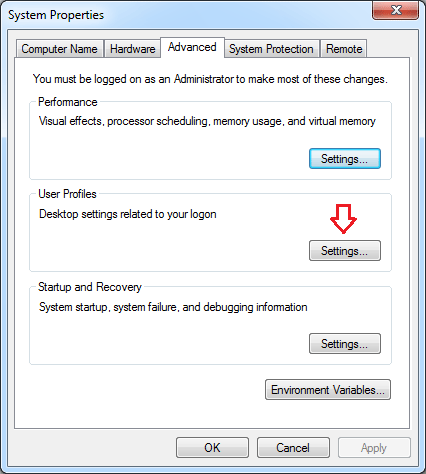 However, that option is disabled when your computer is joined to a domain. 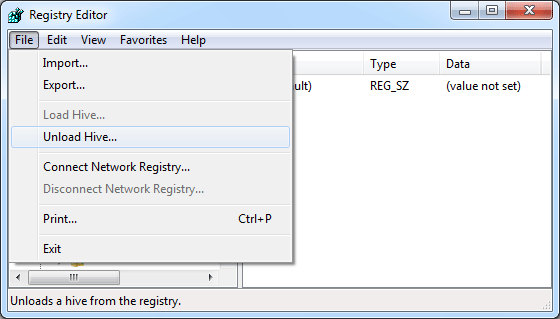 Fortunately, you can still set up Windows to auto login to your domain account using a registry trick. 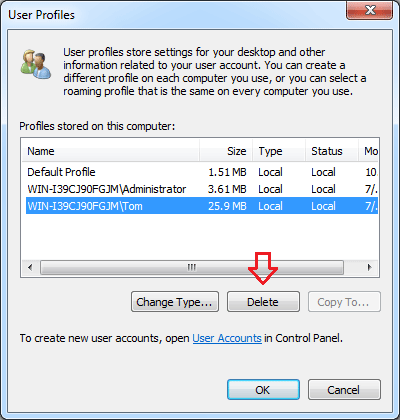 How to Set up Windows to Auto Login to Domain Account? Press the Windows key + R to bring up the Run box. Type regedit and hit Enter. In the right pane, you need to modify or create each of these registry entries: DefaultUserName, DefaultPassword, DefaultDomainName, AutoAdminLogon. If any of these keys are missing, create a new String Value (REG_SZ). Double-click on DefaultDomainName, and specify the domain name of the user account. 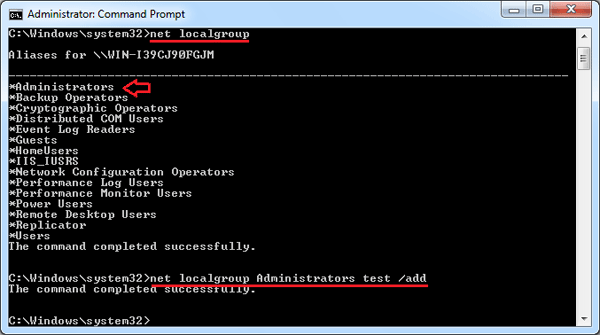 If it’s local user, specify local host name. 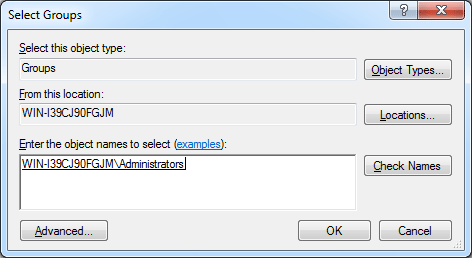 Double-click the AutoAdminLogon entry, set AutoAdminLogon to 1 to enable the auto logon. If AutoLogonCount or AutoLogonChecked exists, delete it. 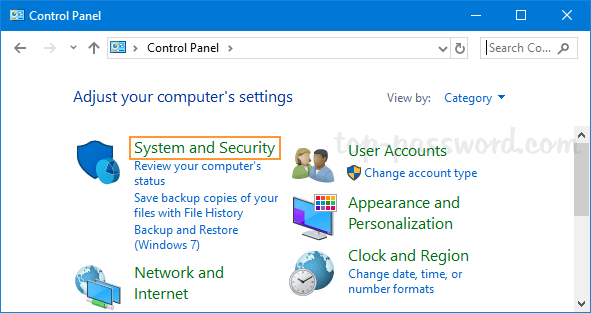 Once those four options are created and altered, you’re good to reboot and from now on every time you start Windows it will automatically login to your specified domain account! Again, if for some reason the auto-logon doesn’t work, go back into the registry and double-check the four entries in that folder to make sure nothing’s out of place. Windows Defender is a built-in antivirus software comes with Windows 10 and Windows 8. While Windows Defender provides very baseline protection, it slows down your PC considerably. Users who prefer using third-party security solution like Kaspersky, McAfee or Norton might want to completely disable Windows Defender. 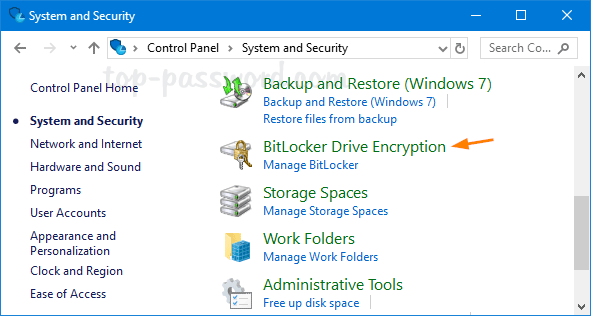 Here are 3 ways to turn off Windows Defender in Windows 10 or 8. Press the Windows key + R to bring up the Run box. Type gpedit.msc and hit Enter. 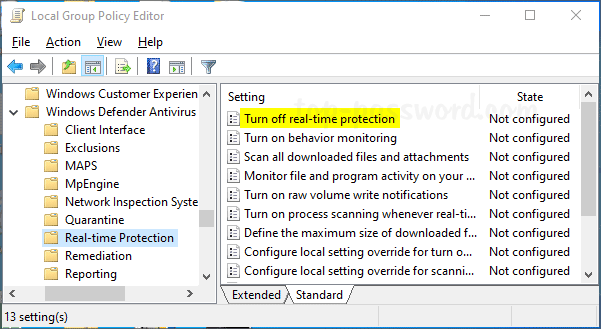 In the right pane you will see a policy labeled “Turn off real-time protection“. Double-click on it to modify. Select Enabled. Click Apply and then OK.
You have to restart the computer to allow this policy to take place. When you try to turn on real-time protection again in Windows Defender, you’ll get a message that saying “This setting is managed by your administrator“. 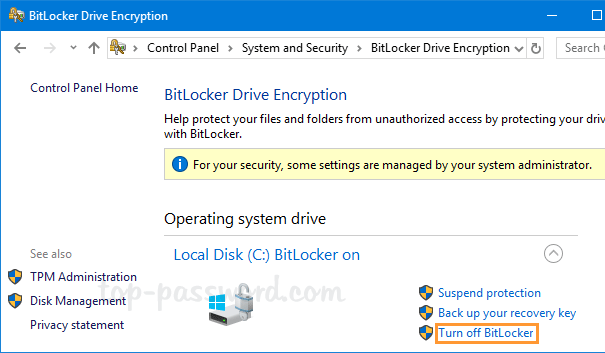 Restart your computer to apply the changes, and then Windows Defender should now be disabled. 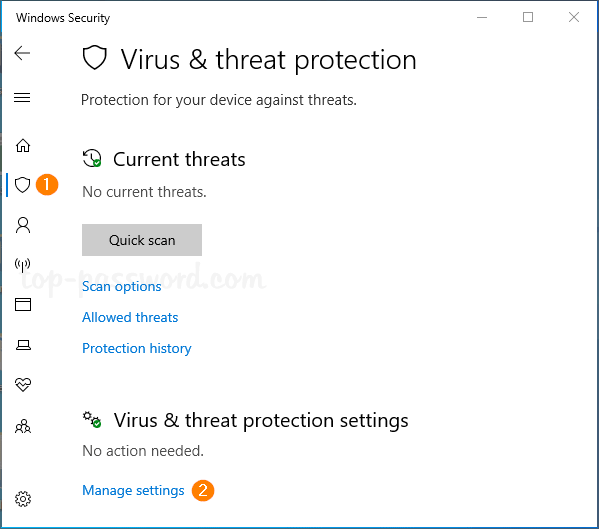 After opening up Windows Defender, navigate to Virus & threat protection tab. 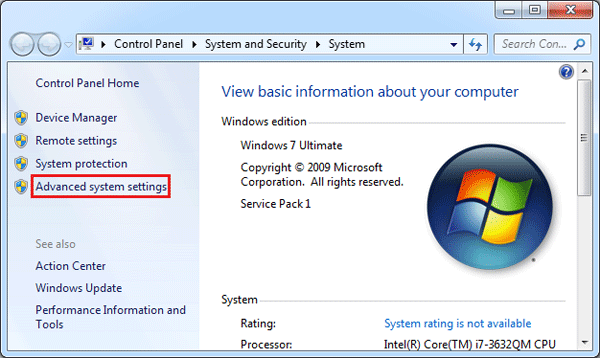 Under the “Virus & threat protection settings” section, click on the Manage settings link. 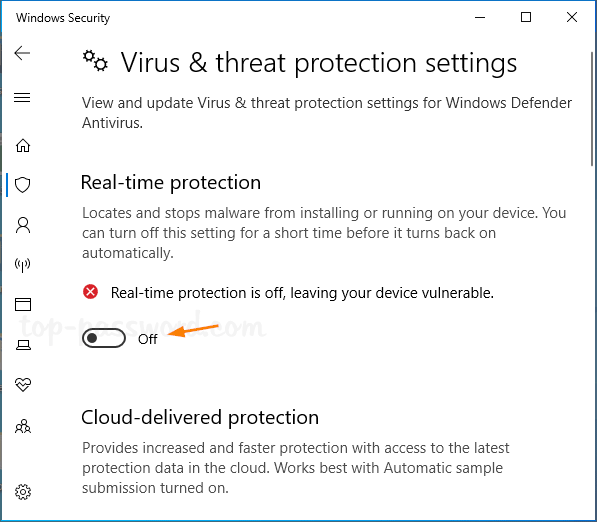 Windows Defender will disable its real-time protection temporarily. 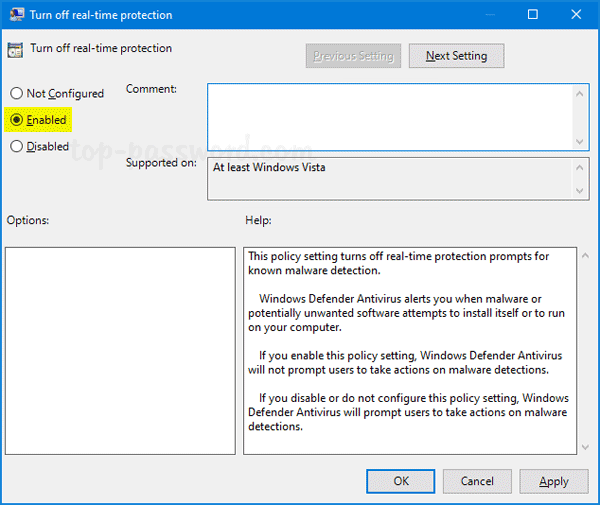 The next time you restart your computer Windows Defender will re-enable automatically. When you click OK, the system will return you back to the login screen. Searching this on the net gave a lot of answers but none of them seemed to solve it. 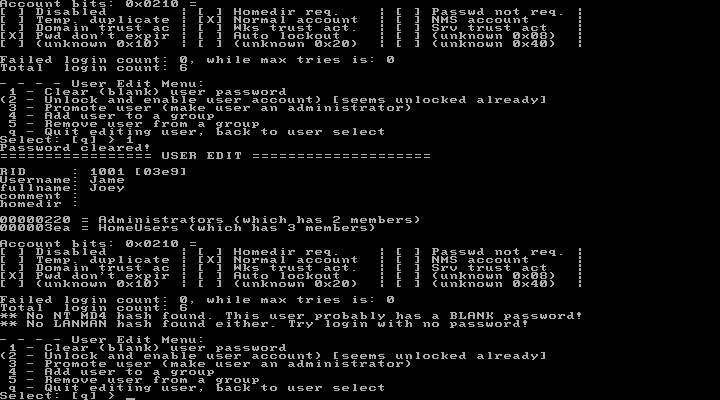 In the end we discovered that it is a permissions problem and not a corrupt profile problem. Here’s two methods to fix this issue. 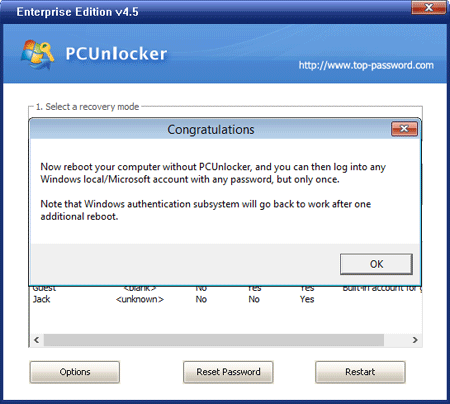 Before getting started, you need to log on to your computer with a working administrator account. Then follow the solutions below to fix the problem for your affected account. 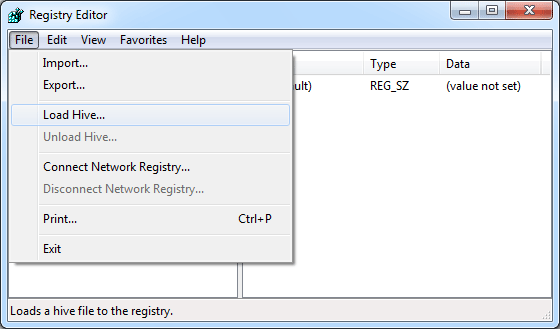 When the Registry Editor opens, select HKEY_USERS in the left pane. Now, pull down the File menu and choose the Load Hive option. 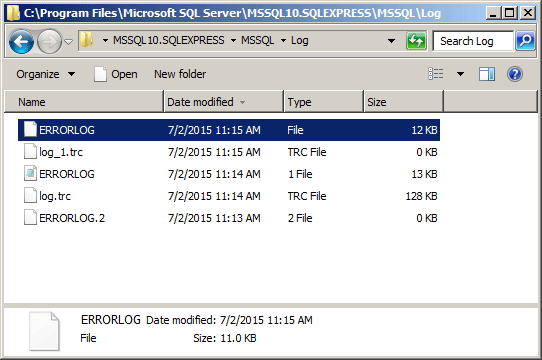 When the Load Hive dialog appears, select All Files in the Files of type box. Navigate to your affected profile folder (for example, C:\Users\<user_name>) and select the NTUSER.DAT hive. Click Open. 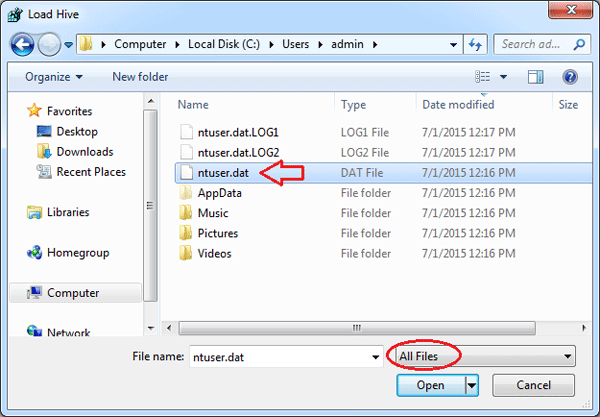 Note: if the NTUSER.DAT file doesn’t show up, you might need to configure Windows to display the hidden files. It will ask you for a name. Give it any name, it doesn’t matter what it is. 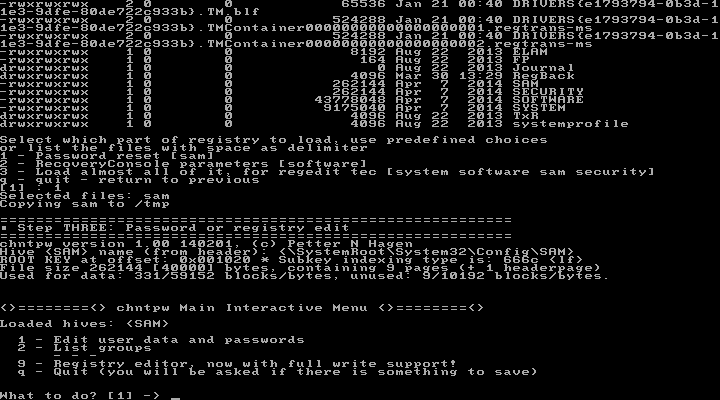 You will now see the hive you just loaded with the name you gave it under the HKEY_USERS key. In my example, the entire NTUSER.DAT hive has been loaded into the Registry Editor under the registry location: HKEY_USERS\NTUSER. 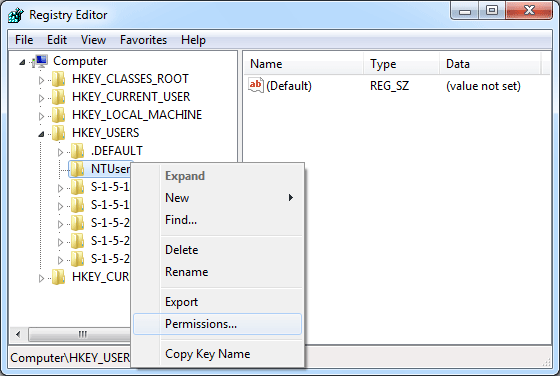 Right-click on HKEY_USERS\NTUSER and select Permissions. Here you should see at least three accounts: System, Administrators and the name of your affected user account who’s profile you are fixing. If ANY of these are not shown it will not work. 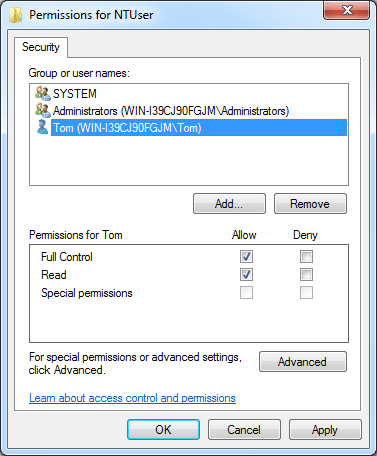 You need to add all three and then give them full control in the Permissions section. 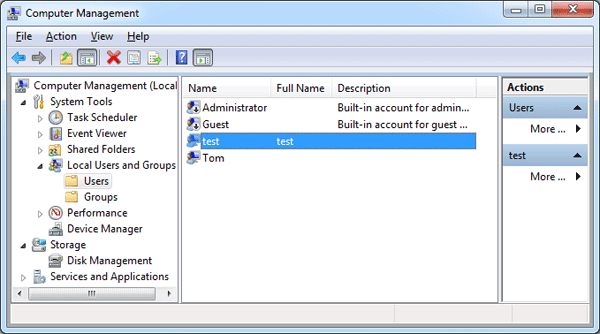 Once you have added all three and given them the correct permissions, click the File menu and select Unload Hive. Close the Registry Editor. Log off or restart your computer. You should be able to login successfully with your account that you were having trouble with. Right-click on My Computer icon on your desktop, and then select Properties. From there, click the Advanced System Settings link on the left-hand side. 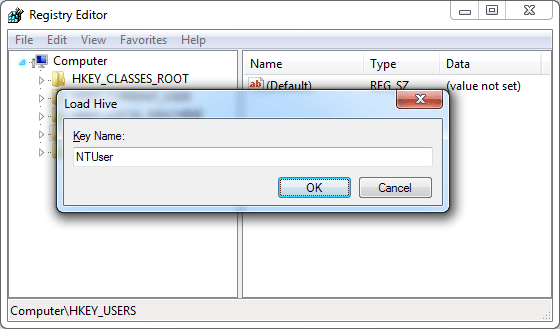 When you see the System Properties dialog, click the Settings button in the User Profiles section. 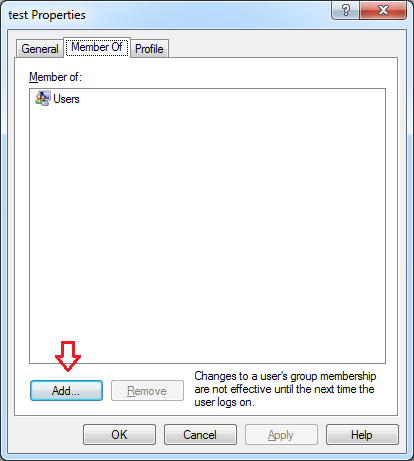 In the User Profiles dialog box, select the profile of your affected user account and click on Delete. Click OK to confirm. Now you’ve successfully deleted a user profile. Your problem should be fixed by now. One accidental deletion of a single system file can render your computer unusable. 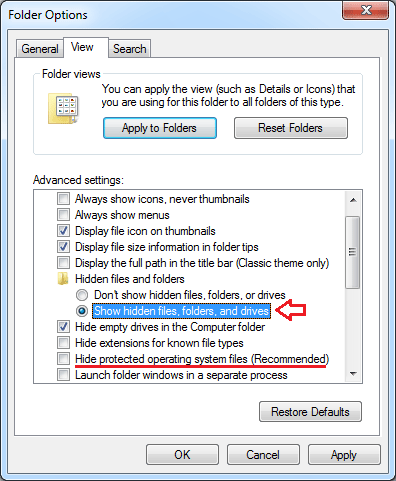 By default, Windows hides certain system files from view in Windows Explorer. This protects important files from being accidentally deleted, modified or altered. But there are times when it’s necessary to view the hidden files and folders when coming to troubleshoot Windows problems. Here’s how to show hidden files in Windows 10, 8, 7 and Vista. 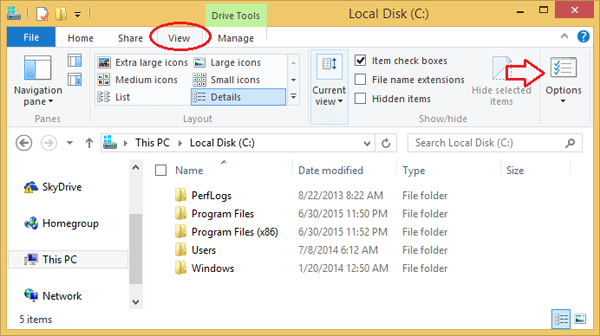 How to Show Hidden Files in Windows 10, 8, 7 and Vista? 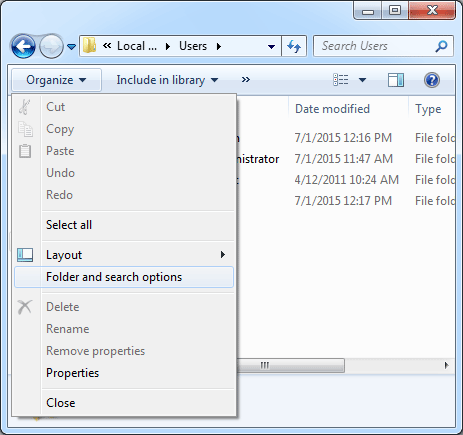 Open up a Windows Explorer window, choose Organize -> Folder and search options. 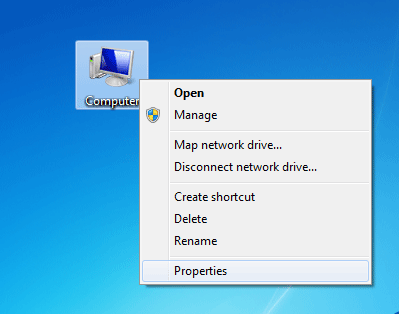 In Windows 10 or 8, click on the View tab at the top of Windows Explorer, and then click Options. From the opened Folder Options box, go to View tab. Under the Advanced settings section, click to select “Show hidden files, folders, and drives” radio button. 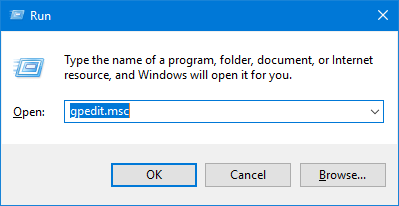 If you are trying to get into the Windows directories, you might want to also remove the checkbox from “Hide protected operating system files (Recommended)” as well. When you are done, just click Apply and OK, and your changes will take effect immediately.